Timeless elegant armchair with generous comfortable upholstery. The Thone classic by Mart Stam. A classic from the 1930s. Its design is based on the then-new cantilever principle, developed by the Dutch architect Mart Stam. The shape of the chair is simple, elegant and timeless. 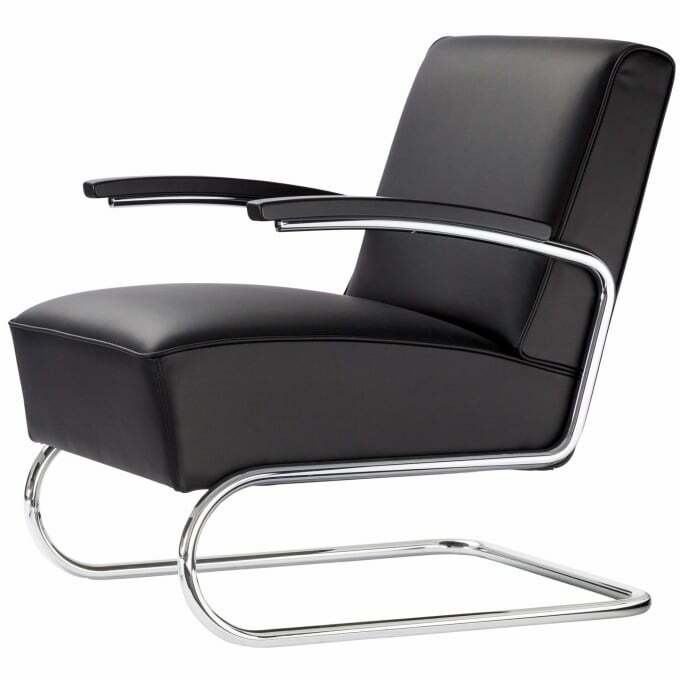 The particular comfort is due to the combination of the slightly springy frame with the voluminous spring upholstery. considered a pioneer in furniture design and manufactures classics out of bentwood and steel tubing as well as products by famous designers. Do you have a question about "S 411"? How can we contact you?